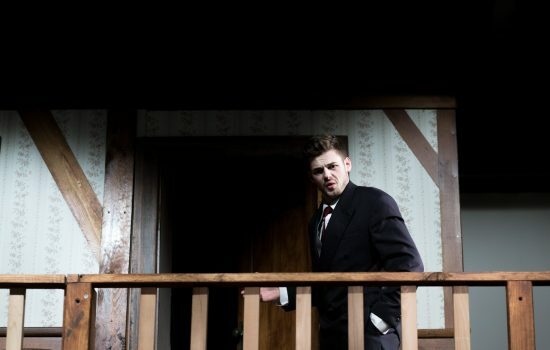 Edan Goodall is a Bachelor of Arts student majoring in Criminology with a minor in Theatre Performance. In this interview, Edan shares his study experiences and explains how he has combined the two study areas to address injustices in Australia; the major opportunities with Monash CTP and MUST; and his phenomenal trip with Monash Alumni through Monash’s Global Discovery Program. How did you come to choose Criminology and Theatre Performance? I started acting when I was three years old. Throughout Year 11 and 12 I came to realise acting has been a part of all of my life and I decided it was something I was interested in pursuing. I was also interested in law and criminology and found I could study both criminology and continue my passion for acting with an Arts degree at Monash. 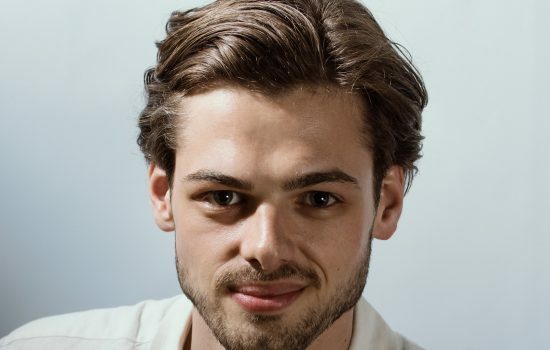 What acting opportunities have there been at Monash, and how did you do this whilst studying? As soon as I got to Monash I joined MUST [Monash University Student Theatre], but didn’t think I’d get anything for a while – thought I’d have to pay my dues. But, I was lucky enough to get into [MUST Artistic Director] Yvonne Virsik’s show – a three-person cast. From then, in that year I was in Knives and Hens for MUST and You Walk Away for Melbourne Fringe. In the following year, I did Man The Balloon at MUST then Troilus and Cressida for the Monash Shakespeare Company. Then last year I took on four full shows: Noises Off! at MUST, Pinocchio Restrung with A_tistic for Fringe, The Late Night Late Show Live which was part of the cabaret festival at MUST. This year through my performance minor for the Bachelor of Arts, I was able to perform under the direction of Susie Dee who is a phenomenal theatre maker throughout Australia. She directed us in Uprising at the Malthouse through Monash CTP's new partnership with the Malthouse. That’s probably the biggest for me, to say I performed at the Malthouse, and the opportunity was unreal. My relationship with Susie Dee is one I will hold onto for as long as I can because I see her as one of my mentors and one of the people who has backed me. Wow. What was Uprising about and what was the Monash CTP – Malthouse experience like? The first half of the play looked at particular uprisings. One of them was of sexual assault victims who banded together to non-violently protest against their perpetrators through mere their presence and it’s incredibly poetically written by Patricia Cornelius, one of the most awarded playwrights in Australia. There was another that shows not all uprisings are positive. The final scene in that half was with myself and a good friend of mine, Oli, in an absurdist scene in which we were both chefs, worried about our head chef who was abusing us. I’m constantly crying and Oli’s telling me to ‘man up’ – so it's challenging that idea of masculinity. Susie Dee would ensure whoever was in each scene explored them in depth. Whilst a professional production will be done through intensive all day sessions almost every day of a week in four weeks, we had the luxury to explore the themes and work on completing the production over months throughout the semester. Susie Dee would also ensure we’d exercise at the beginning of every rehearsal: we were doing meditation, yoga, other things to ensure we were appropriately warmed up. It was an understanding of her process; with every director you learn a different language and a different process of how they go about things. The second half of the play was written by Melissa Reeves, a long-time collaborator of Susie Dee and Patricia Cornelius, about a group of students on an activist committee who rescue a Manus Island refugee by kidnapping her while she's in hospital in Australia. The scene starts with us just getting back to a warehouse to celebrate, but we then begin to discuss all the issues and get caught up with other political ideas. We start going on this rant about the death of the gorilla Harambe and in the process start eating all the food, forgetting all about the very person we rescued/kidnapped who’s in the back of the warehouse – neglecting to give her any food! This distraction possibly mirrors the mindset of many young Australians now, with how many issues we come across and try to involve ourselves in. The broader the spectrum of issues, the more limited is your ability to engage in any depth with them. That’s what that explored. Getting depth of knowledge to create effective change is something you would have picked up through studying Criminology too. Do you see your two study disciplines coming together? Criminology has taught me everything from how to have a reasonable academic argument, being aware of how different research is from policy, and of how many people think ‘just locking people up’ is a solution. Being tough on crime is not the way to go. Australia doesn’t have the outlook on crime that Scandinavia does in the sense that rehabilitation is important; these people can contribute to society. I want to make sure I know what I’m talking about when I stand up to my local leaders. If it’s going to infuriate me to the high heavens I might as well be educated on it. We did a unit on police last year and at the beginning we all thought how racist they were and were anti-police, but by the end we realised what a difficult job they have to do. I looked particularly into mental illness and cognitive impairment and how police officers deal with that. I found that the neurodiverse demographic have the highest number of police related fatalities and brutalities through assault and firearms. They don’t know how to recognise and identify mental illness. The training needs to change, and the general public need to be more informed too. I’d love to do a movie or something to do with communities that are particularly impacted by criminal policy in Australia. I think that would hit home. You played a key role in A_tistic which would provide this bridge, possibly a new bridge, for many people. Can you tell us a bit about that and the research involved in performing? 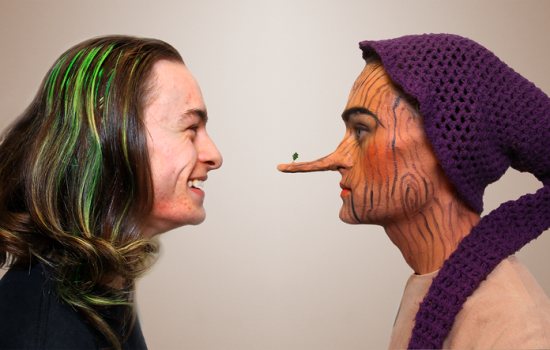 The production I did with A_tistic was called Pinocchio Restrung and it’s a retelling of the original Pinocchio tale through the lens of Autistic Spectrum Disorder. So maybe one little theatre show can make a difference to that understanding so maybe they won’t call the police. Bridging the space for different people to interact breaks the way people attempt to label others. If there aren’t avenues to go and engage with the community, sometimes theatre is the place that provides that bridge and that opportunity. I was lucky to come across A_tistic through being at Monash – it was established by Tom MIddleditch with his original show Them Aspies as part of a MUST season. 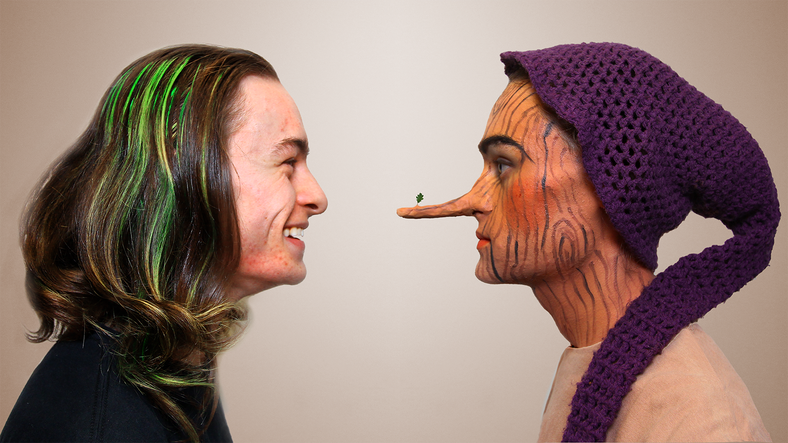 Pinocchio Restrung was the first show they did for Melbourne Fringe in 2016. Pinocchio represented the life of a young autistic boy and I played Geppetto as a 26-year-old woodworker going through the process of all of a sudden becoming a father to a 15 year old child that has autism. Pinocchio held the core narrative sharing his sensitivity to his environment, the learning curve he had to go through to understand how people responded to him and why they responded to him in certain ways – translating the difficulties that children on the spectrum have in their daily lives. In terms of research for the role, since about the age of nine, a friend’s older brother (who’s about four or five years older than us) has been a wonderful part of my life and he has autism and is quite far along on the spectrum. He is typically a quiet man around the rest of us, and has such a loving and caring nature. In a lot of ways, I consider myself blessed to have had a friendship with him, be around him and his family and gain a greater understanding of neurodiverse individuals, both verbal and nonverbal – how their life operates and how they operate with life. That certainly informed my understanding, and while Pinocchio didn’t have as intense autism, it was still a process. The research Tom MIddleditch provided included giving us a lot of exercises to immerse ourselves in what he perceives as how to understand the feeling of autism. So, we looked at repetitive action, small actions we were assigned to make ourselves feel comfortable, a lot of discussions around autism and how it impacts in the show. Also, everything from the sound to the lighting to the staging was all meant to be relative and how overwhelming the environment can be on someone with autism. So that’s how I informed that character, but I also took it on board because I have a strong interest in father-son narratives and coming of age stories. On the topic of personal development, you also give back in many ways such as running performance workshops at Monash? I’m lucky enough to be involved with a beginners’ program with MUST at the moment. I’m one of two assistants to a teacher teaching international students about theatre and how to act – giving them an opportunity to flex their skills in that area. It’s probably the most tangible thing that I can do to give back now and share my passion with people who are just starting out. I see them going through a lot of things I’ve gone through – so we do a lot of the activities, games and processes that have helped me. Seeing people over a period of two and a half hours come out of their shells and want to give, contribute, suggest and have fun and collaborate – it's a phenomenal opportunity. You recently went on a phenomenal trip – can you tell us about Monash’s Global Discovery Program? It was non-stop. Up and out of the hotel every day by 8am, travelling to meet Monash alumni in London. Each day was given to meeting a different alum. Andrew Gibb was one of my favourite people I met – creator of Cold Pressed juices. One of the biggest products that has suffered from the war on sugar has been juices, and the way he did not fight against it, but instead worked with it to make healthier products people can enjoy, is just brilliant! The entire product category, “cold-pressed”, is named after his company because of his impact. I sat opposite him at the Vice Chancellor’s dinner and we had a discussion about EQ versus IQ and he gave us a couple of different life lessons: let your journey take you where it will, it’s ok to make mistakes… just make sure they’re on other people’s money! We also checked out London a bit, did networking events including one at the Australian Embassy, and the big Vice-Chancellor’s dinner at the Royal Society of Arts House. We met the Australian ex-Foreign Minister, now chief Ambassador Alexander Downer. The deputy Ambassador was a Monash alum and was incredible, took us around, told us his story and about the embassies he’d worked in, so that was a wonderful opportunity. Then it was process of needing to let the experience sink it, then ask what I learnt from it. I came to the realisation that I want my acting to be both performative and academic and I want to use any sort of platform I would eventually get, to promote things I’m interested in – be it homeless policy, or teachers’ rights, or education, or criminal justice. What’s one lesson you’d share with others from this experience? I’d originally struggled to understand why I was worthy of going to London on the Global Discovery Program, because I saw many of my peers having immediate positive impact and I didn’t understand my impact. I realised that while I might not be a doctor or lawyer or teacher, I might eventually be able to influence someone to say, I want to be a doctor or lawyer or teacher, or assist in the education of youth and implementing appropriate policy indirectly. Many friends watch House and wanted to be a doctor, or Suits to be a lawyer – that was enough for me to say yeah, this is what I can see myself doing, this is what I want to strive towards. And, that’s what I think a lot of people get from media in one form or another, ideas of what they want to do with themselves or how we can better the world. I’m only here for a certain amount of time and humanity will go on, I want my impact to be beyond just the years I live. That’s the meaning I find in life, beyond just the years you live.